It’s February on the Vineyard. Coffee shops are shuttered. Scallops cost $35 a pound. And the tumbleweeds on Circuit avenue dance to the Ritz’s wispy winter riffs. In other words, it’s the off season. Just don’t tell that to the MV Ice Arena. While the rest of Martha’s Vineyard hunkers down, the coldest indoor facility on the Island ironically becomes one of the best places to stay warm – if not for the temperature, than for the camaraderie. By the time February rolls around, youth hockey, which services Island children from ages six through 14, is in full swing. Figure skaters are spinning their axels. Public skates look more like Central Park before Christmas than Martha’s Vineyard after it. And the high school teams pack the rink’s bleachers with standing-room only crowds. 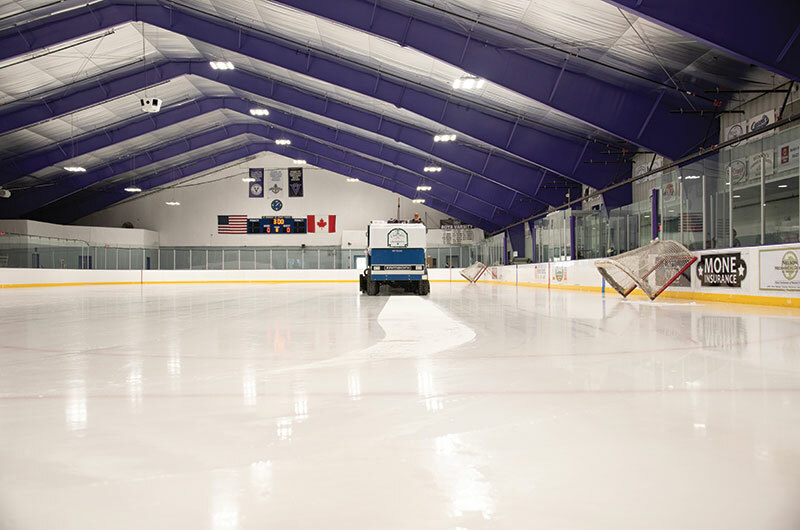 The MV Ice Arena is a nonprofit organization founded in 1974 and established six years later as an outdoor skating rink. In 1992, local businesses and generous donors teamed up to help the arena complete a capital improvement plan to enclose the rink and provide year-round skating for Islanders. Ever since, nearly two generations of Vineyard children have had the chance to grow up with the privilege of ice time, regardless of the season. Mike has been smoothing ice and stretching smiles at the rink for upwards of 20 years. He’s a beloved figure, instantly recognizable to hockey players and figure skaters alike. 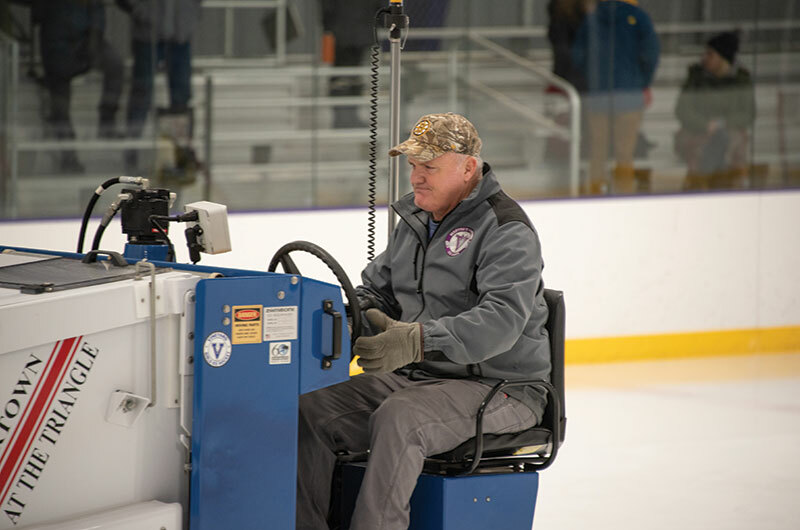 Even though he’s got a demanding day job as the assistant Edgartown harbormaster, Mike can’t stay away from the rink. It’s the community that keeps bringing him back. Mike’s son grew up on the Vineyard ice, and now he has a four-year-old grandson who looks poised to do the same. 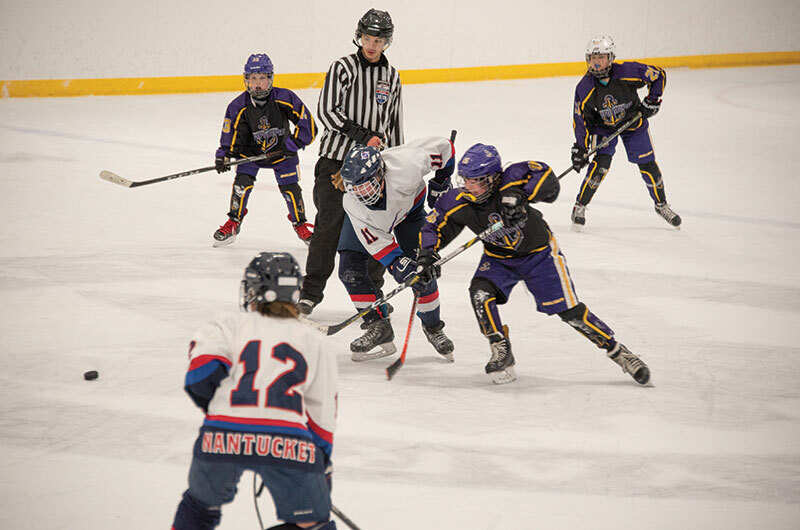 In the summer, the rink hosts a tournament called the East Coast Classic, bringing top-level players from college programs all over the country for a three-day event on the Island. This past summer, participants ranged from NHL center Adam Gaudette to former rink employee and regional high-school goalie Nick Kent to current rink employee Garri Saganenko. As program coordinator for the rink, Matt has the ever-difficult job of coordinating ice time between “major user groups,” like youth hockey and figure skating, and everyone else. And by everyone else, he means literally everyone else. 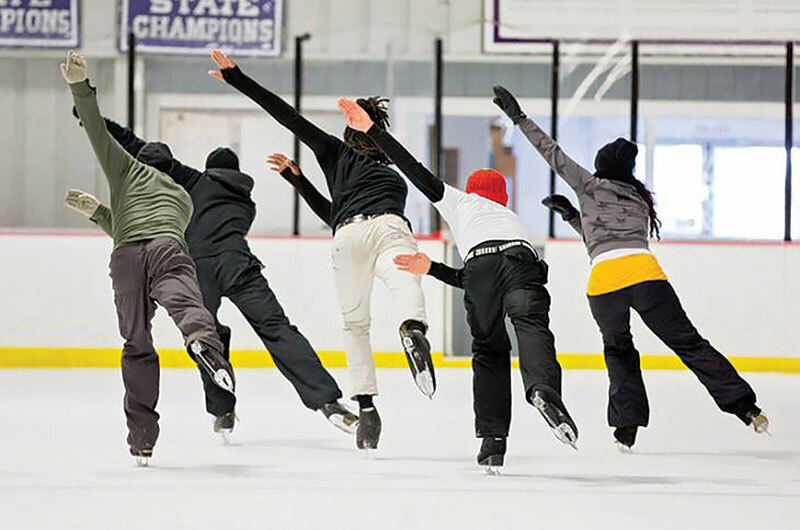 Every year, The Yard – a Chilmark dance center – co-hosts an event on the rink with ice dancers from a group called Le Patin Libre. The rink also plays host to public skates, birthday parties, holiday parties, and, just last month, a wedding. “We’re trying to broaden our horizons,” Mike said. Part of that broadening comes literally, as the rink recently merged with its neighbor, the YMCA of MV. Although the merger is mainly administrative, it gives the rink the financial security to continue its hockey, figure-skating, and public skating programs long into the future. 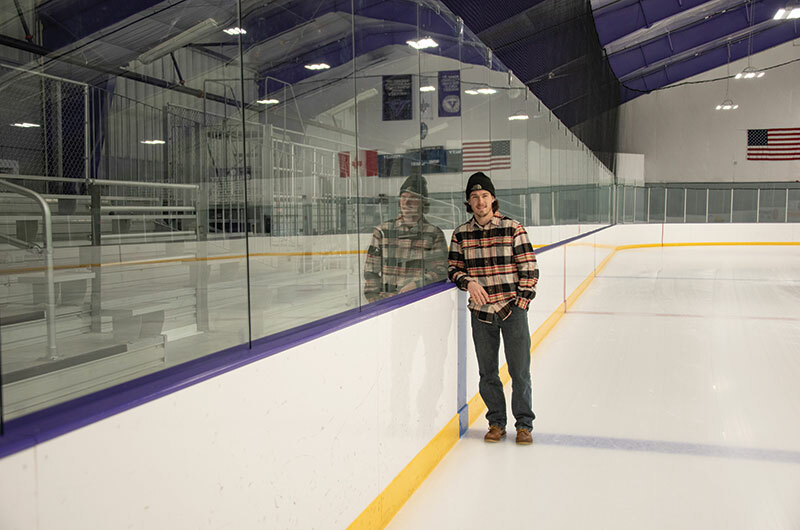 It’s not always smooth skating to keep the rink afloat and ice a-frozen, but there’s nowhere the employees of the MV Ice Arena would rather be. Noah Asimow is a reporter for the Vineyard Gazette.